Ubuntu 11.04 Beta 1 Released – Available for Download! Ubuntu 11.04(Code Name : Natty Narwhal) beta 1 has released today.Go and download it from it’s official website(Link is given below). Ubuntu 11.04 beta has released with a lot of changes and improvements. 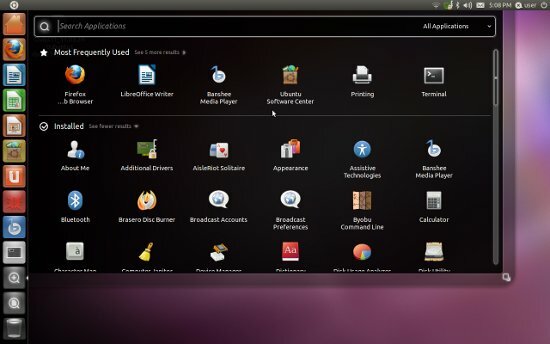 Ubuntu 11.04 has bundled with Unity desktop(instead of GNOME ). Now the GDM has three options – one(default) is Unity which requires 3D driver supports,Ubuntu classic with or without the effects/driver support. Ubuntu 11.04 Beta 1 is out! The overall look and layout of Ubuntu 11.04 seems much different as compared to its predecessor version 10.10(Maverick Meerkat), probably due to the new desktop ‘Unity’. The drag and drop reordering features in launcher icons is pretty cool. Download Ubuntu 11.04 beta from its official website, but don’t use Wuby for installation(recommended,but you can use it after the stable release).